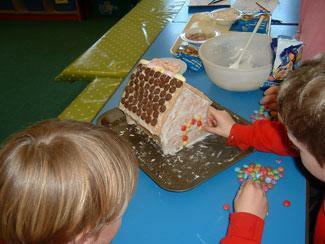 Key stage one children have been reading the story Hansel and Gretel. 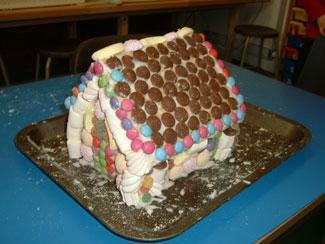 They baked and decorated this wonderful Gingerbread House. After that they cut it up and enjoyed eating it. There was even enough to share with the Reception class!